My first solo show in the Bay Area! Opening this Thursday! 3D Art and free tortillas! 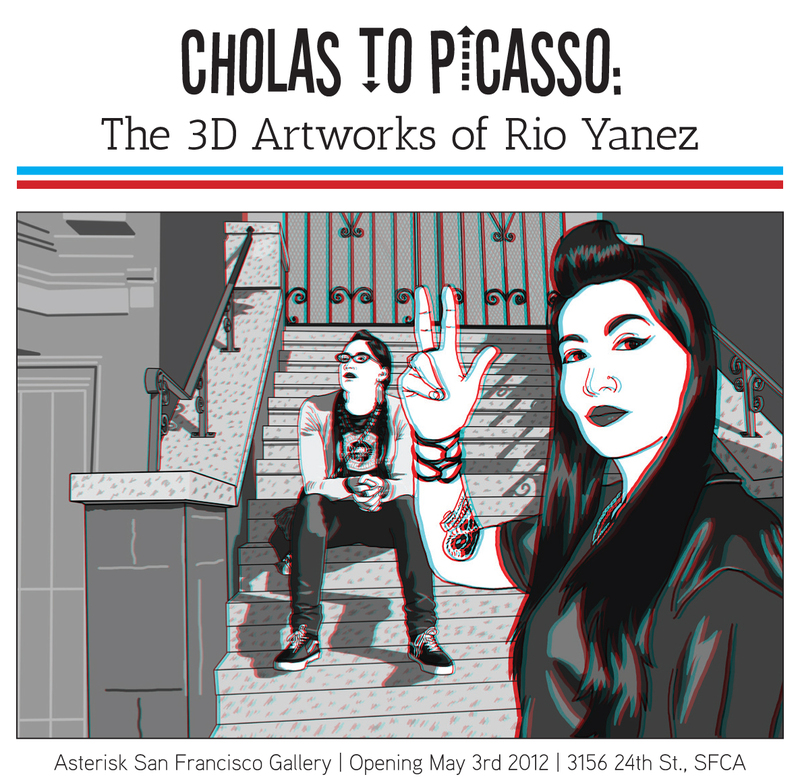 Asterisk Gallery is pleased to present Cholas to Picasso: The 3D Artworks of Rio Yanez, a collection of 3D drawings and photography. Please join us on Thursday, May 3, 2012 from 7-9pm for the exhibition opening. Asterisk San Francisco Gallery is located in San Francisco’s vibrant Mission District. The gallery was founded in January 2012 by Asterisk San Francisco co-founders Chief Editor, Jeremy Joven, and Managing Editor, Alex Winter. Asterisk San Francisco Gallery focuses on supporting emerging artists within the Bay Area community. The gallery is available for art openings and single evening events. Rental of the space is available upon request. I’ll send a hologram version of me. Congrats on the solo show. Are you nervous or have your years of being in the arts world made you immune to such sentiments? Do artists get nervous? So many questions! P.S. I just read Gustavo Arellano’s new book Taco USA: How Mexican Food Conquered America. He has a whole section on the Mission style burritos made famous by places like El Farolito. It really made me want to go back.